With tight breeches and loose morals, the horse trials circuit is a hell-for-leather chase across the magnificent parkland of England's finest country estates. Flirtation is compulsory sport; love is a professional hazard. Silver-tongued charmer Rory Midwinter is quite at home in this hedge-jumping, bed-hopping world of competitive weekend house parties. Having been born into the saddle, and with a rock star owner as patron, he has no intention of settling down. Only his long-term groom Faith has other ideas. Tash and Hugo Beauchamp are the undisputed golden couple of British three-day eventing, but their mettle is put to the test by the arrival of The Devil on Horseback, brooding Kiwi rider, Lough Strachan. Lough holds the key to Hugo's darkest secret, and he intends to use it to access his greatest rival's beautiful wife. I have to say, I've been an ardent fan of Fiona Walker since picking up French Relations - although I found that her more recent outings had lost a little of their sparkle for me in comparison to her earlier work. Of all her characters Tash and Hugo are by far my favourite (after the novels French Relations and Well Groomed) and I was rather nervous to see how Walker continued their story. At first I was a little disappointed. The first twenty pages or so were a flurry of names from both her Lodes Valley novels and the previous Tash and Hugo novels. I've read all of Walker's novels and even I was hard-pressed to follow who was who. The 'cast list' at the start went some way to helping, but it took me a while to find my feet. Walker has updated her writing to reflect the current climate - economically, technologically and sociologically. Times are tough on the event riders circuit, with owners selling horses; people communicate with iPads, mobiles and via email; and Walker has included a storyline concerning a woman famous for being famous (someone who bears more than a passing resemblance to Katie Price). I love that Walker is embracing all these factors - it makes Kiss and Tell incredibly relatable. For me, Walker's biggest success is twofold - one is that I experienced emotions alongside the characters and the other that I stayed up WAY too late gulping down the last few hundred pages. I simply could not put it down! 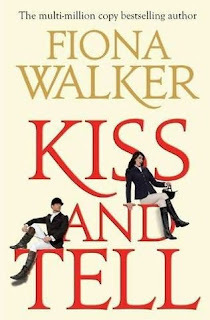 When I say I experienced emotions, I mean that I was positively furious, unbelievably frustrated and overwhelmed with happiness at various points while reading Kiss and Tell - Walker has a real talent for making you feel everything that the characters are feeling. I thoroughly enjoyed the sparkling wit in the dialogue - Walker has always been clever with her word choice and sharp puns, and it made for some thoroughly entertaining exchanges. This is pure escapism, pages and pages of thrilling relationships, turmoil and love all set against the exciting backdrop of three-day-eventing (the rules for which Walker covers at the start of the book, which might be worth reading for those not familiar with the sport, although Walker does manage to insert details and information into the course of the story without it feeling tacked on or information-heavy). I adored catching up with Tash and Hugo, and loved the addition of characters such as Rory, Faith and Lough. With Kiss and Tell Fiona Walker has returned to her sparkling best, producing a novel of real heart. Highly recommended. Oh I'm so glad that you've read this & enjoyed it. I'm am waiting with baited breath for my copy to arrive. It's in transit now. I too, have loved and adored Tash & Hugo ever since I first read French Relations over ten years ago. I was euphoric that Fiona had embarked on a new book following up on their life past marriage. You've whet my whistle more now and I'm am absolutely gagging for the book to turn up. Reading about Tash & Hugo again will be like revisiting old friends. I just can't wait! !